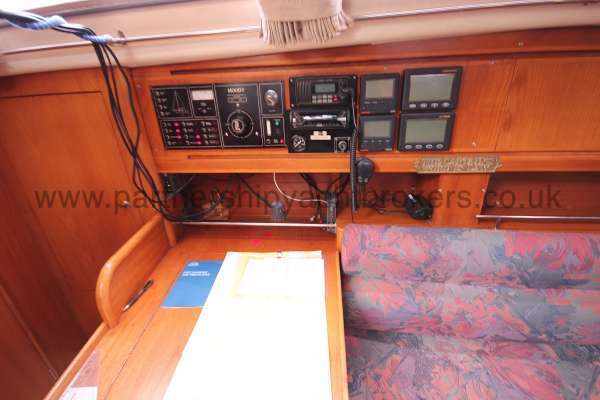 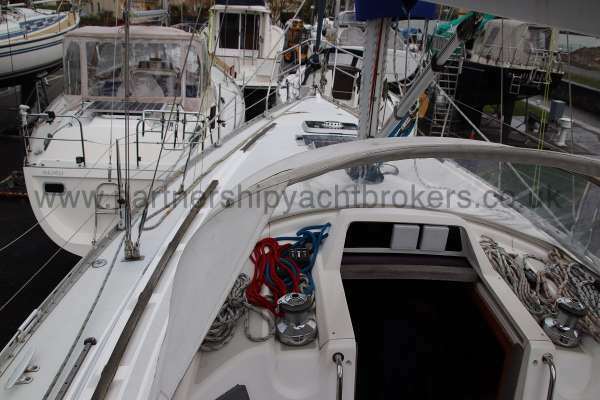 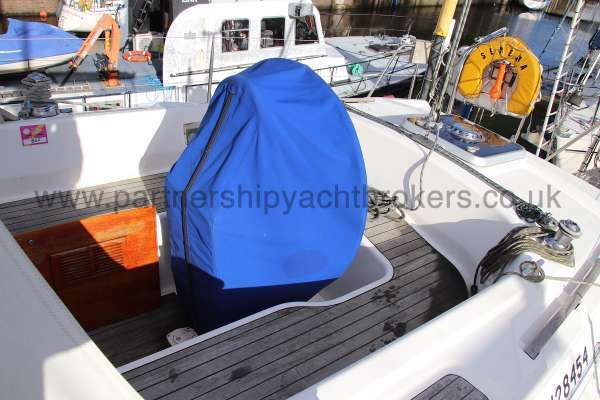 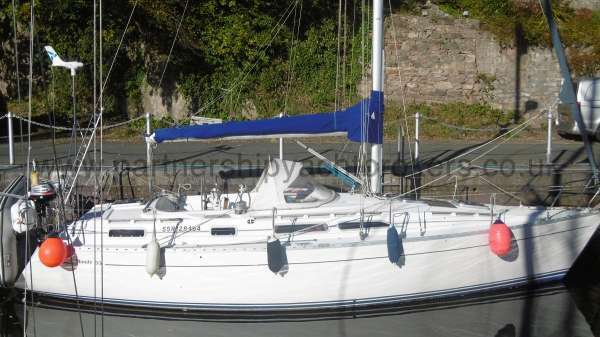 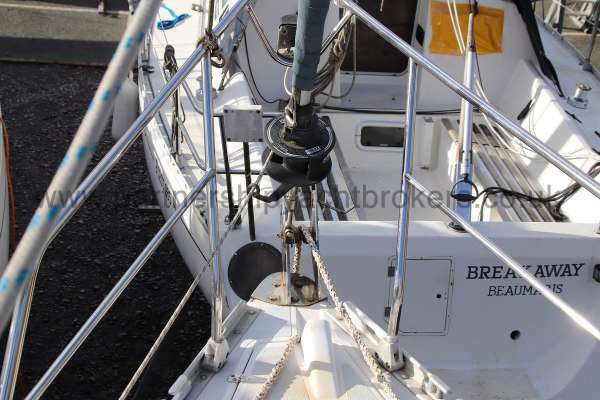 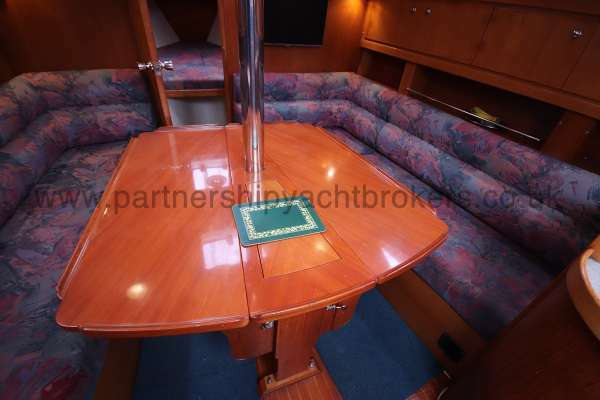 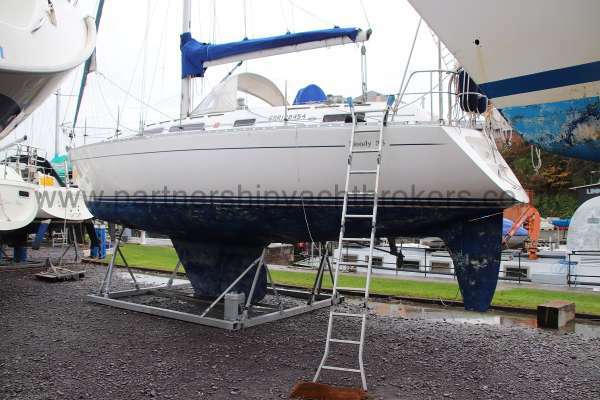 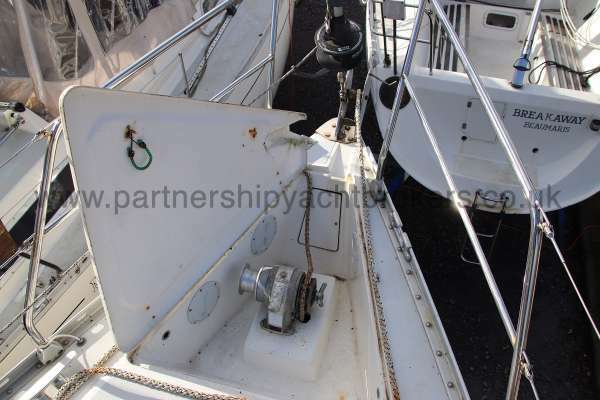 This Moody 35 was built in 1994 by Marine projects in Plymouth and designed by Bill Dixon. 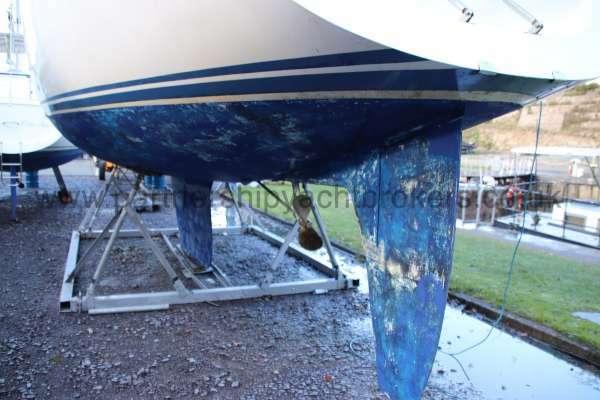 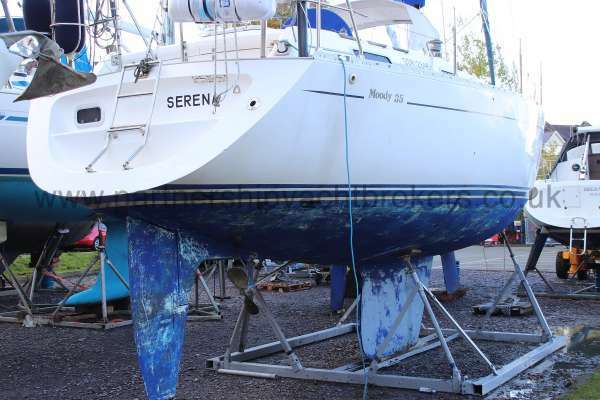 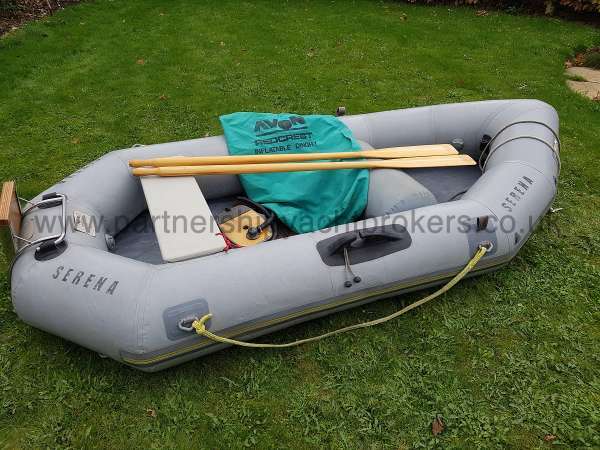 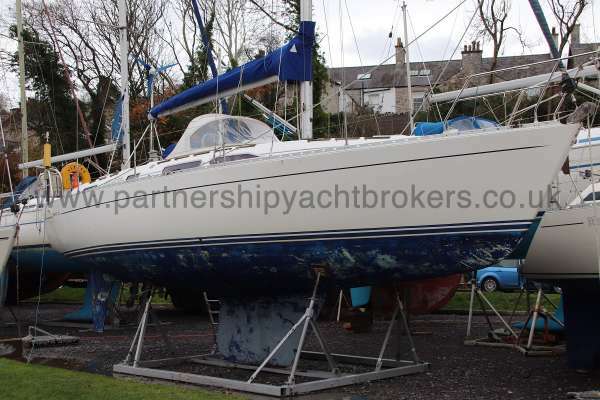 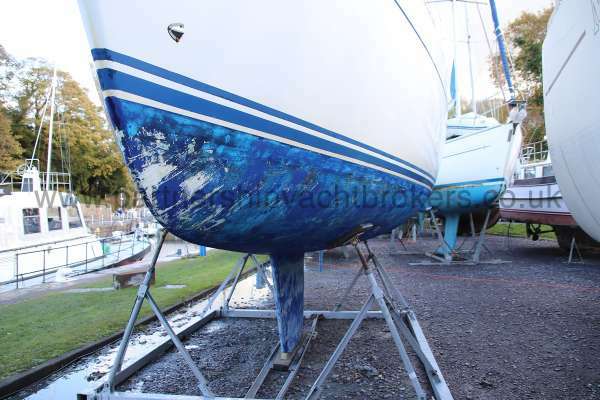 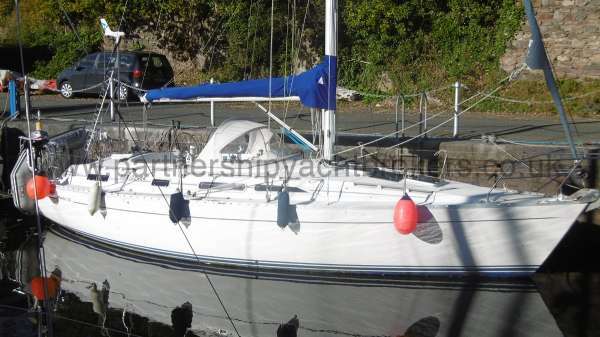 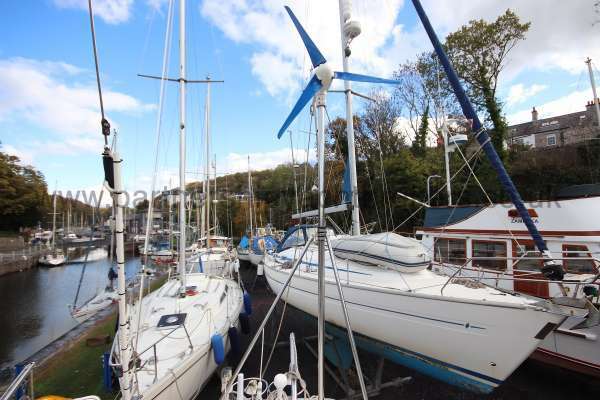 She has been well maintained in her present ownership and is currently lying ashore for the winter. 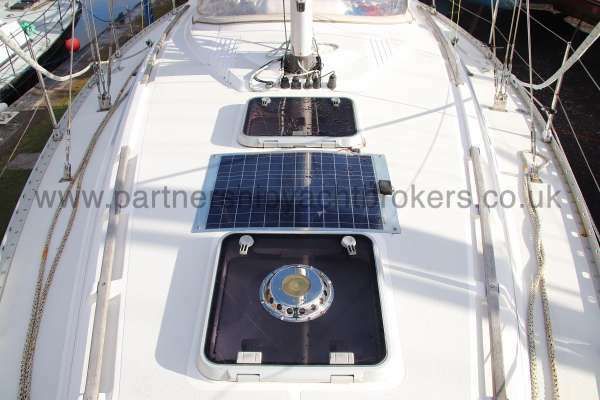 The vessel is extremely well equipped for long distance cruising, with comfortable accommodation and state of the art electronics. 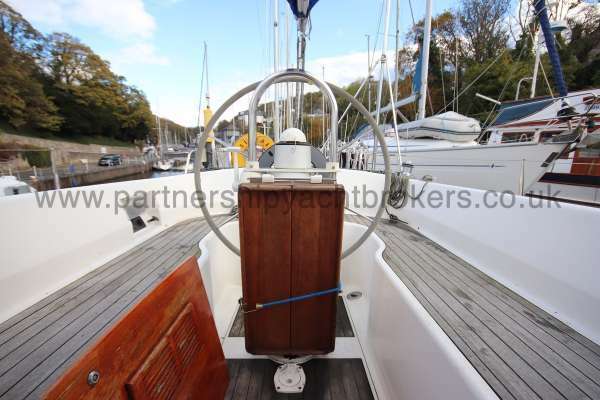 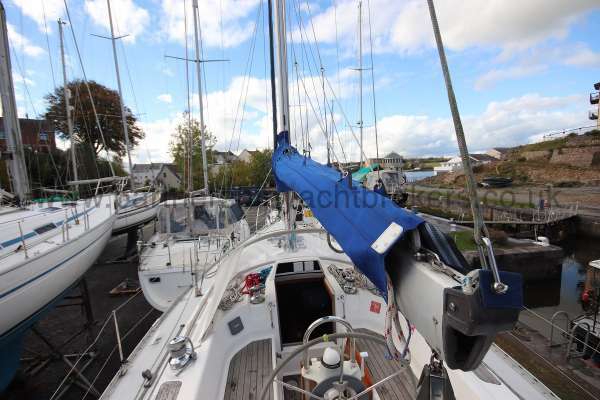 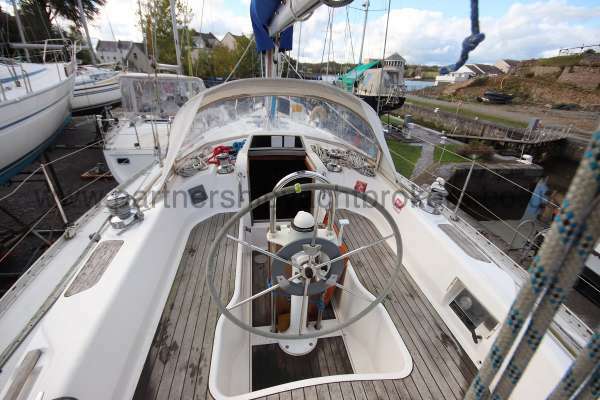 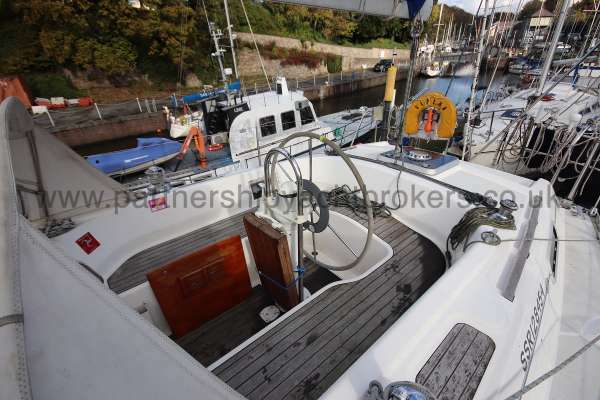 In her present ownership she has been cruised to the North of Scotland all around Ireland. 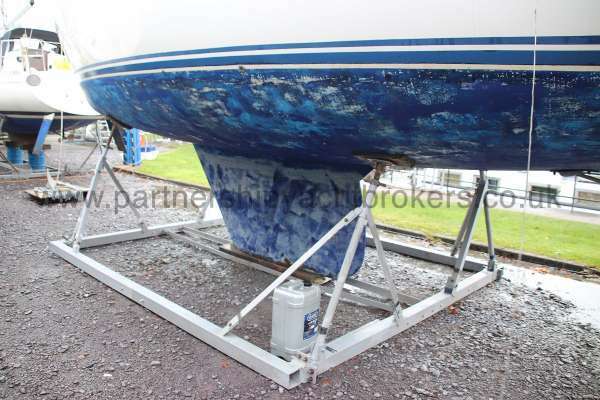 A fully collapsible storage cradle is available by separate negotiation. 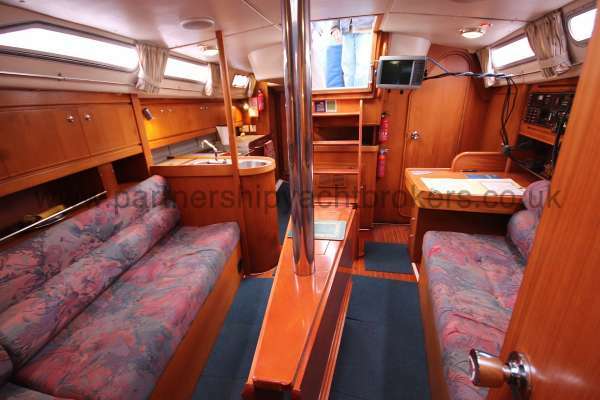 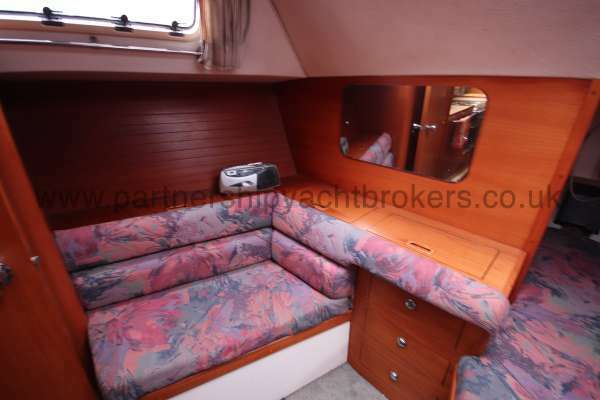 Down below the accommodation is spacious and comfortable with original upholstery and storage in attractive wood finish. 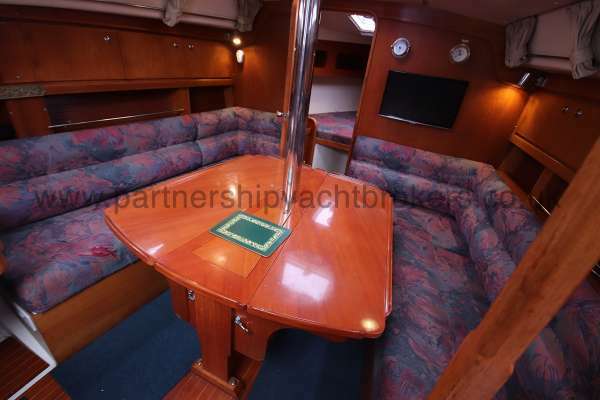 There is a large drop leaf table. 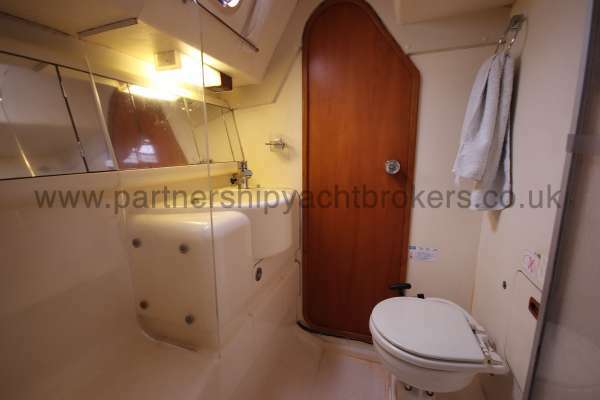 She offers a total of six berths in three cabins. 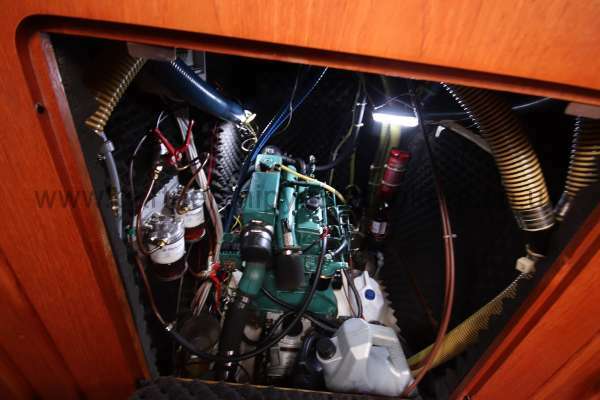 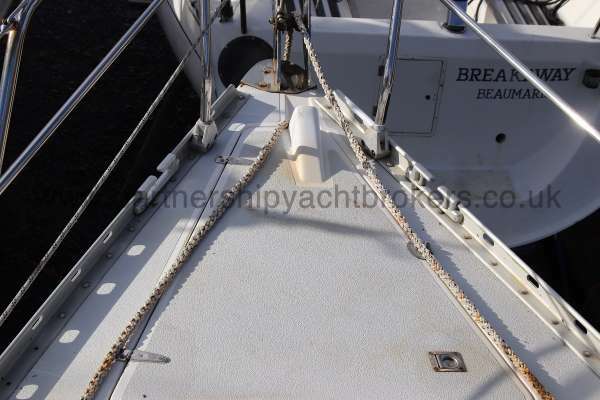 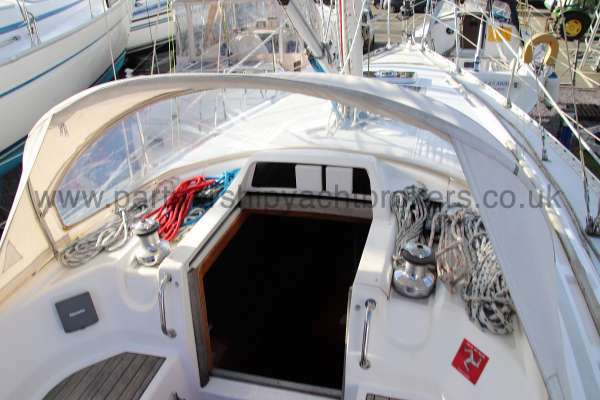 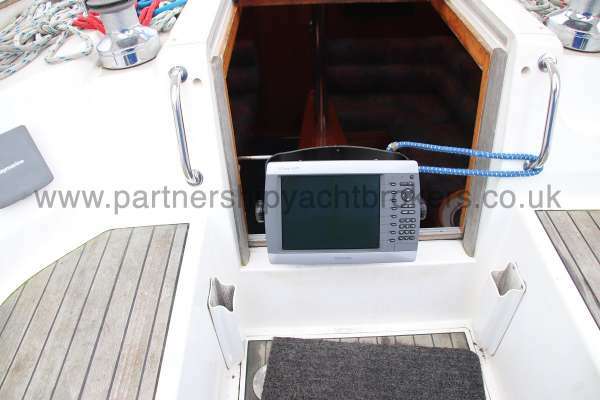 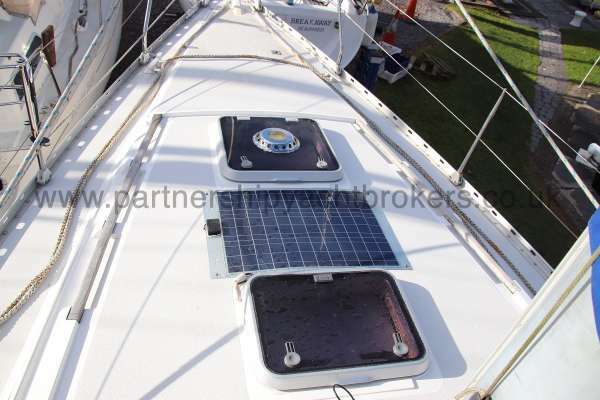 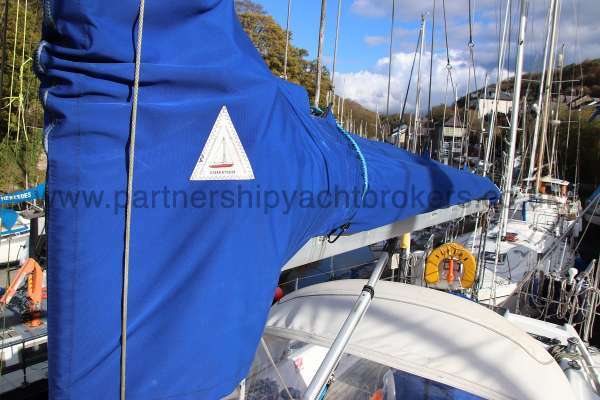 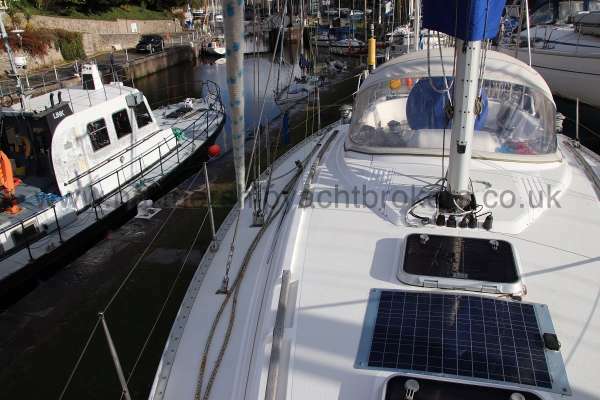 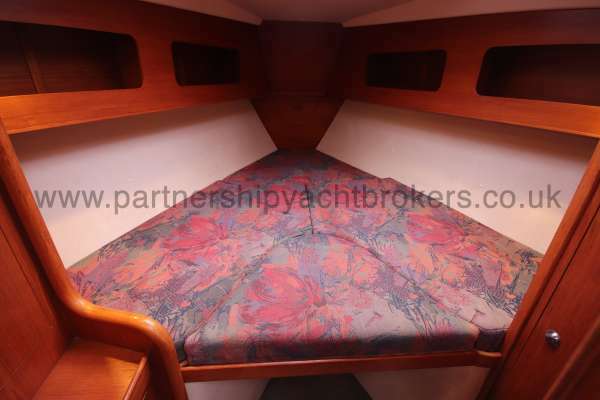 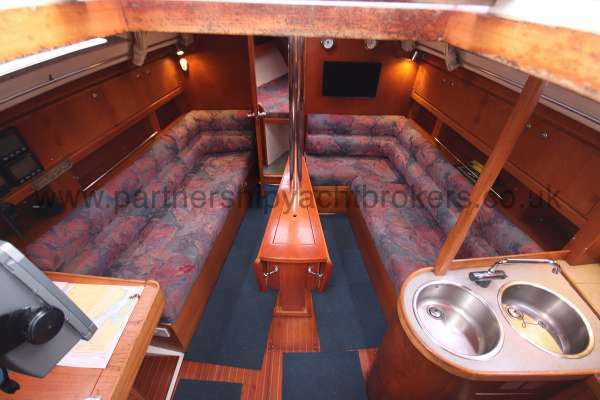 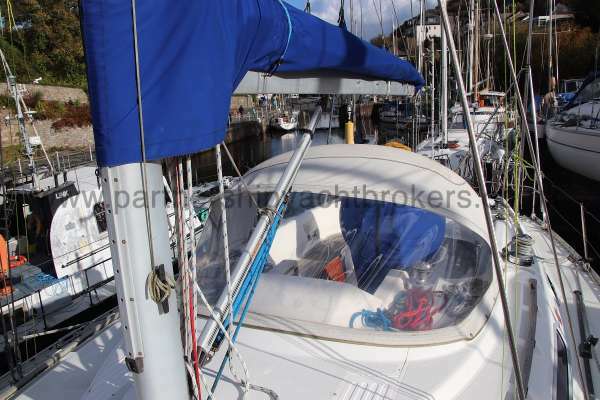 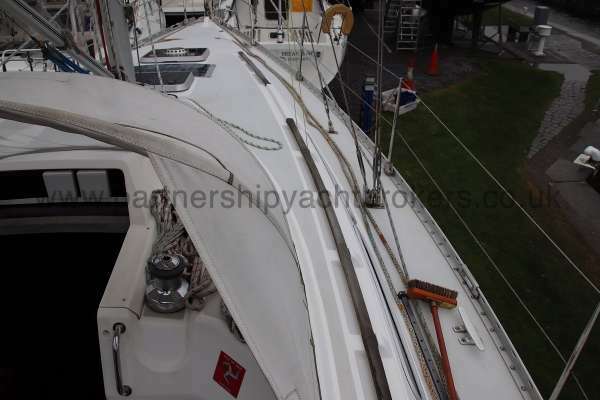 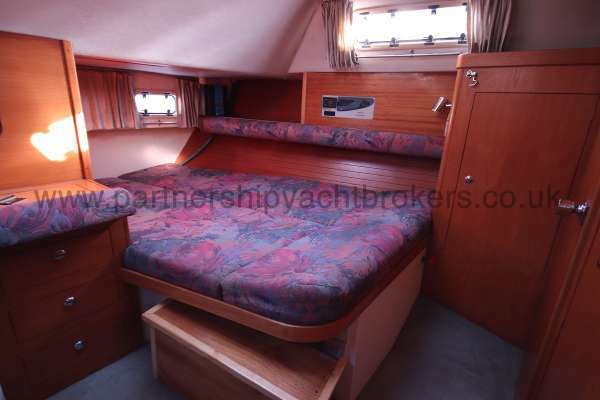 Two single berths in the fore cabin convert to a double with the addition of an infill. 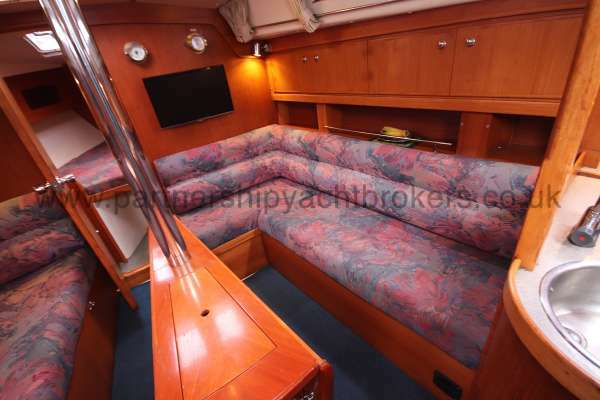 The saloon offers two settee berths either side of a large drop leaf table. 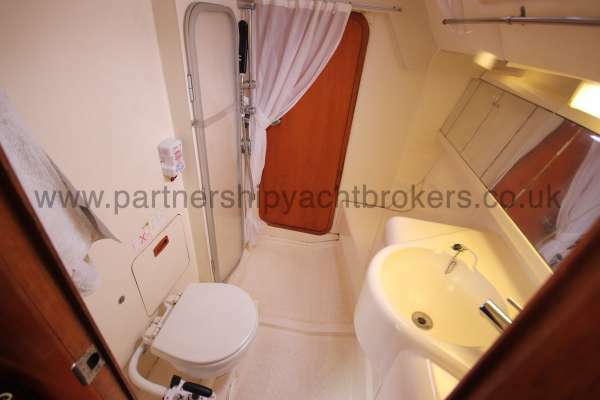 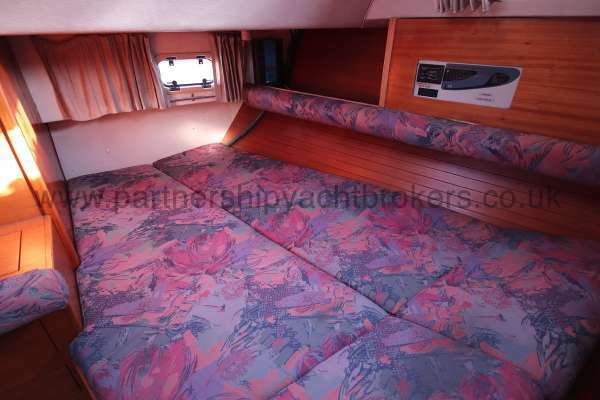 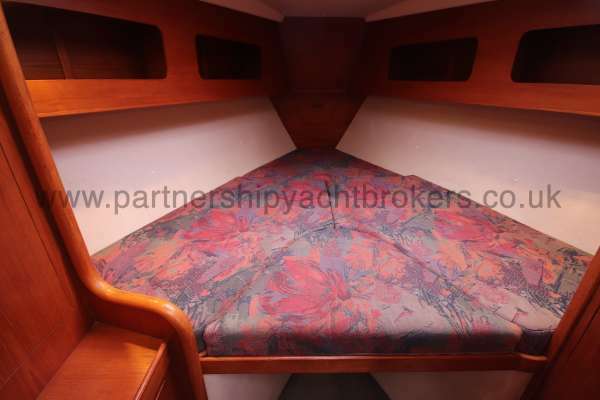 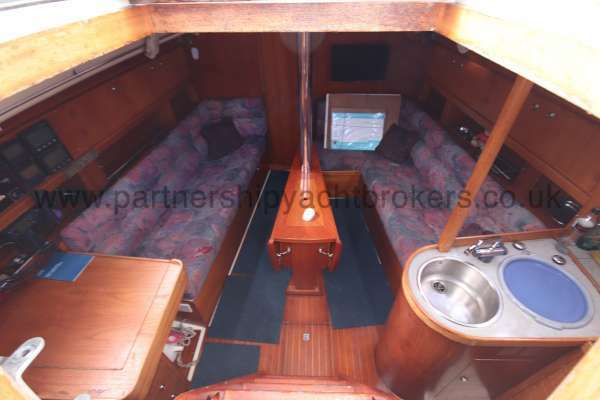 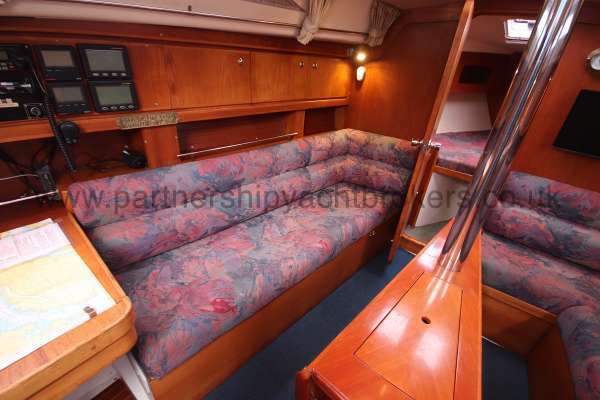 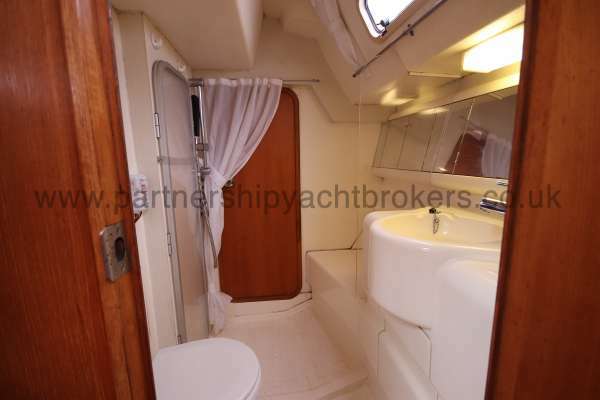 The owners suite in the aft cabin, beyond the galley, has a large double berth with a settee and vanity unit. 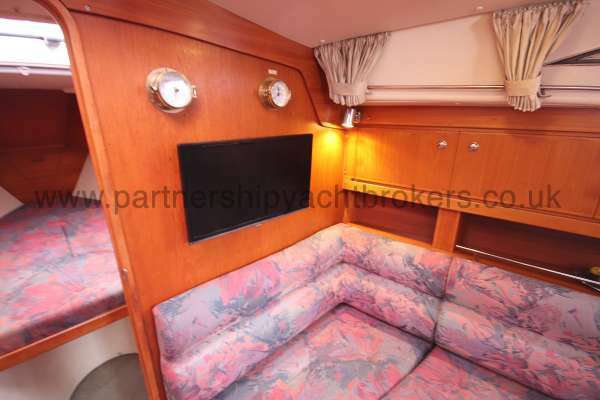 There is plenty of room to stand. 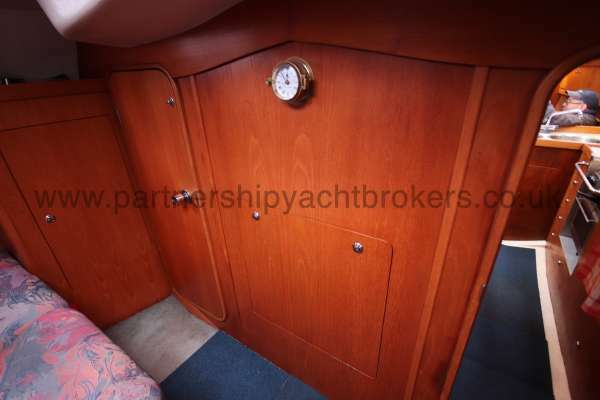 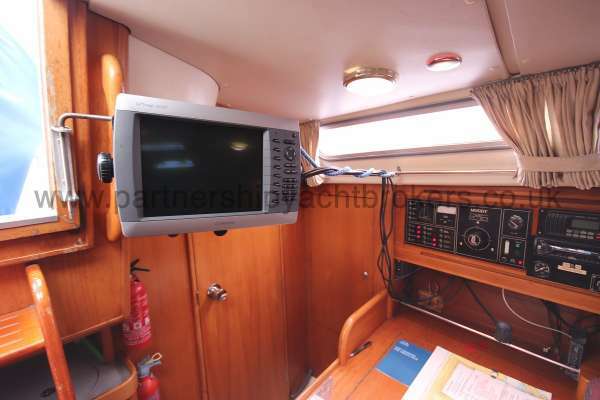 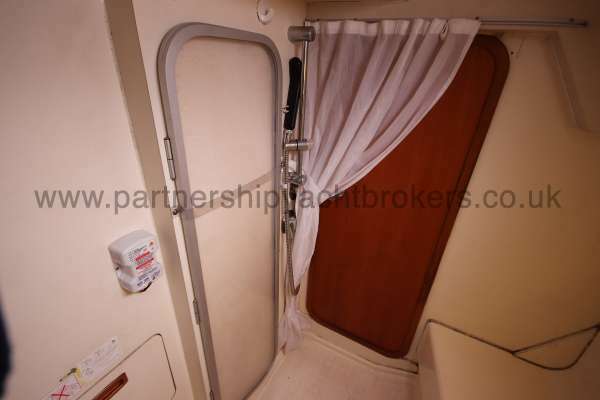 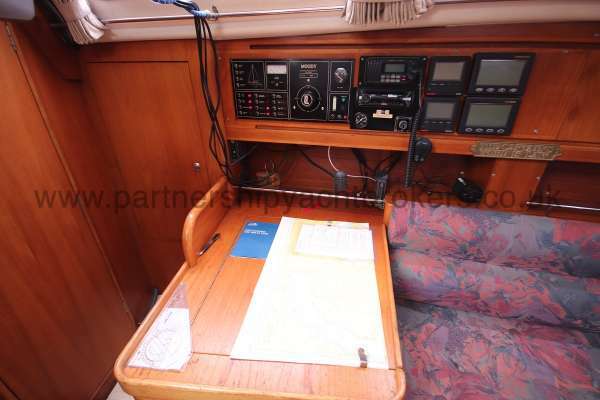 This cabin has access to the heads compartment which can also be entered from the saloon. 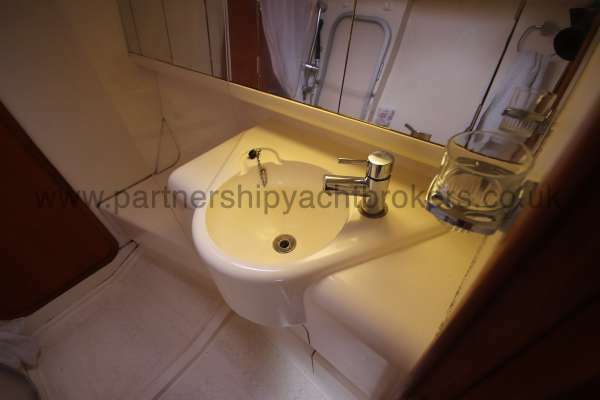 Equipped with a sea toilet, wash basin and shower, a unique feature of the heads is the shower screen which folds away when not required. 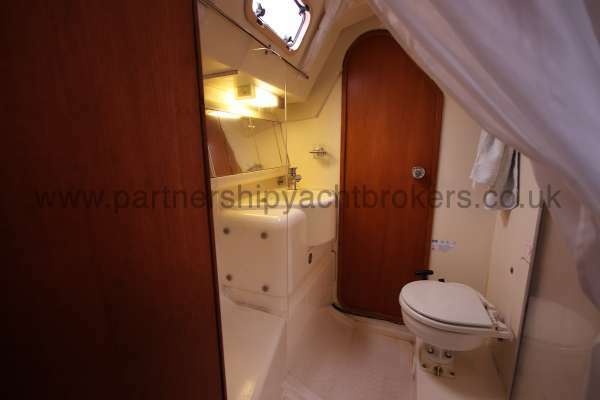 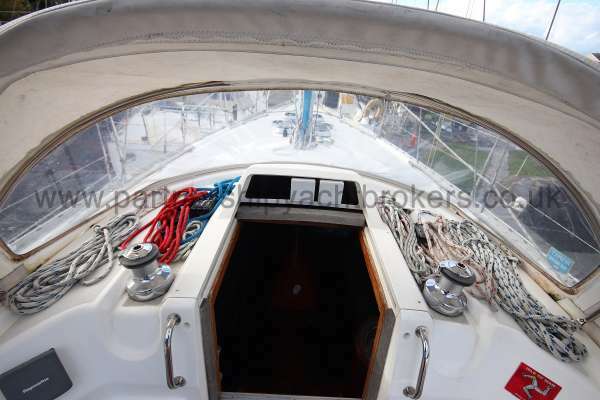 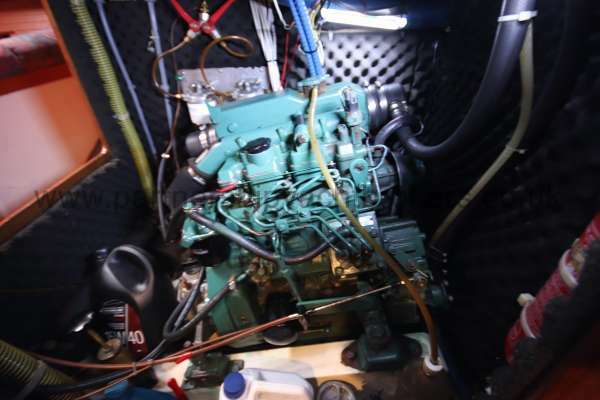 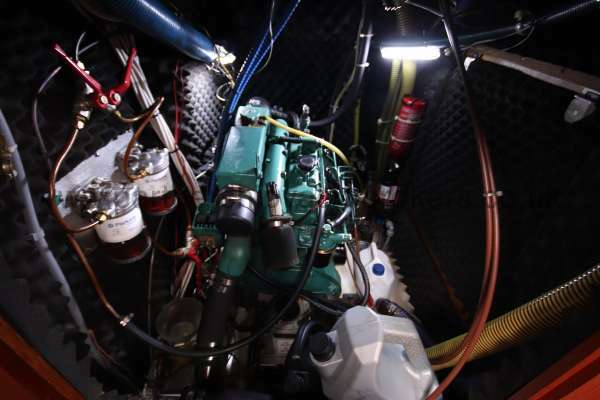 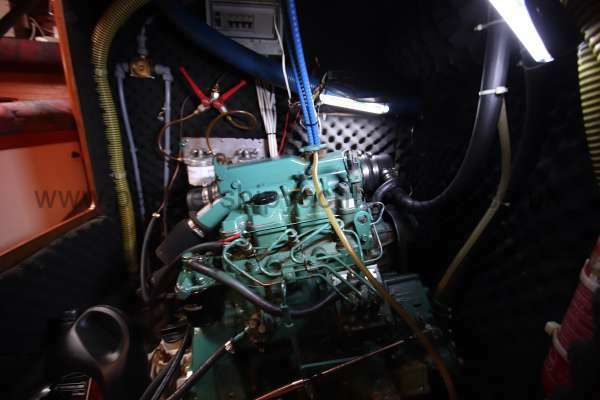 There is pressurized hot and cold water available in the heads and galley. 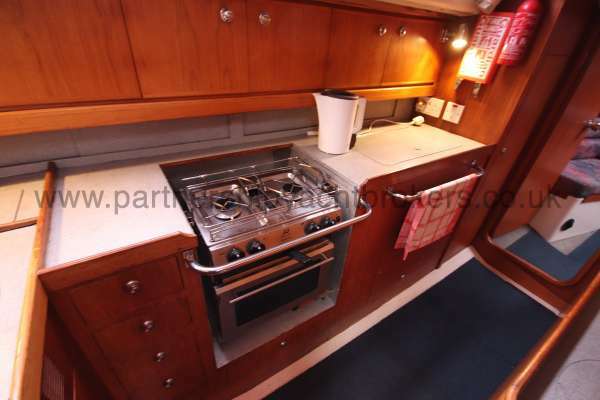 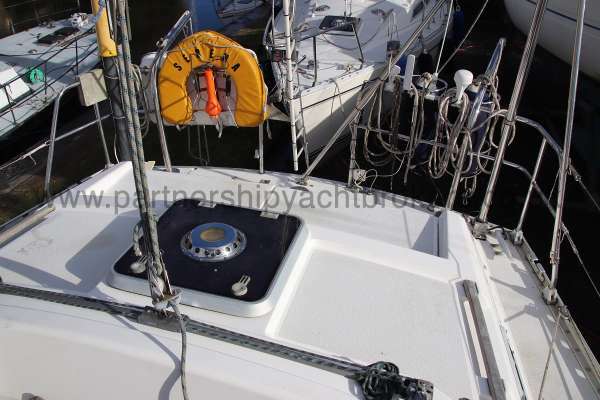 The galley has a Plastimo 2500 two burner gas stove with oven and grill. 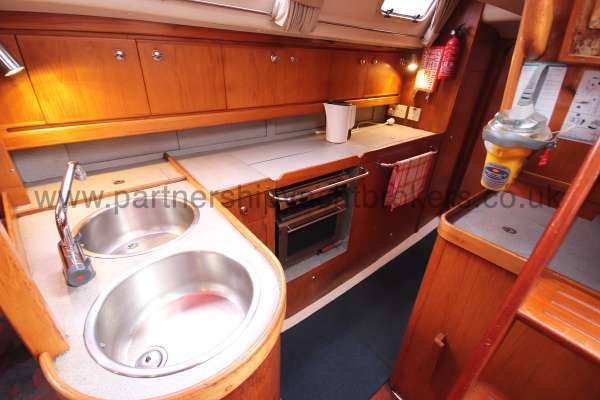 There is a twin bowl sink with pressurised water system and hot water from a calorifier. 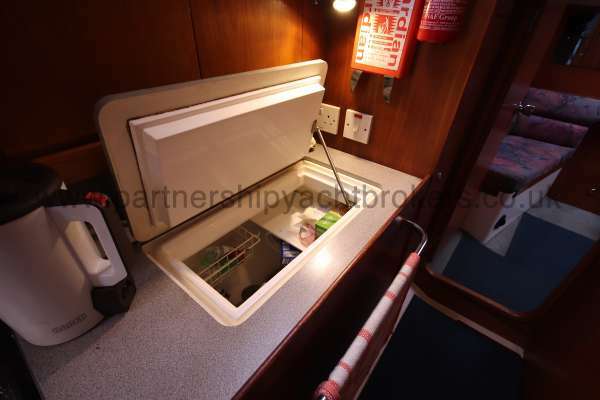 There is a 12 volt fridge.